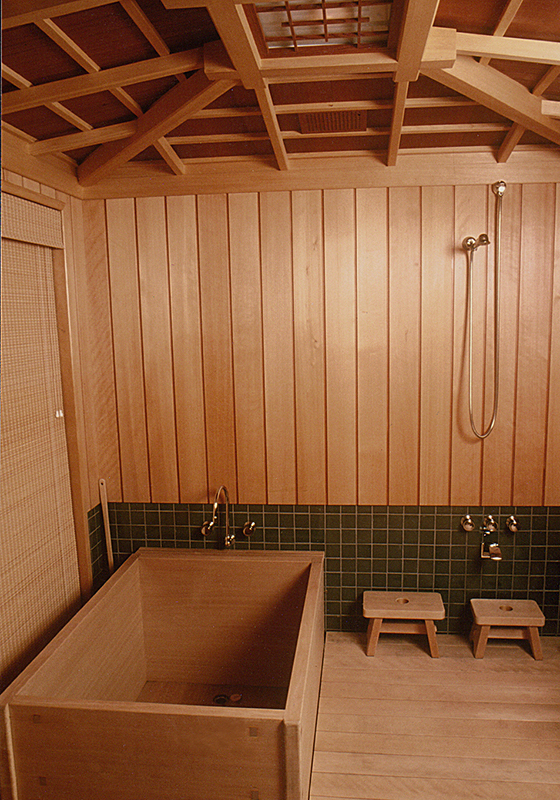 The fragrant cedar wall paneling and cedar floor (sunoko) in this Japanese style bathing room (furoba) enhance the relaxing experience of soaking in the ofuro. 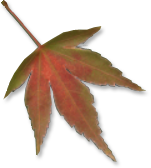 All are constructed with Port Orford cedar. The floor is slotted allowing water to drain down to a drain in the tiled sub-floor. It can also be removed for cleaning. 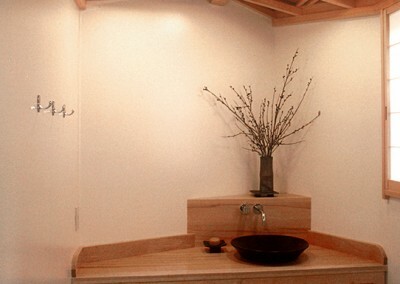 A center light fixture is integrated into the ceiling design of western red cedar panels with Port Orford cedar framing. 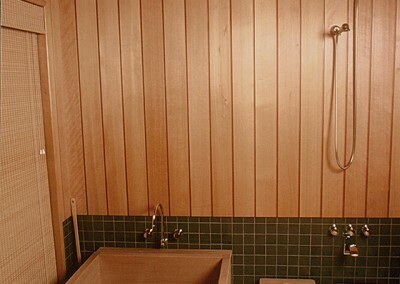 The half-bathroom, like the bathing room, has a western red cedar paneled ceiling framed by Port Orford cedar. 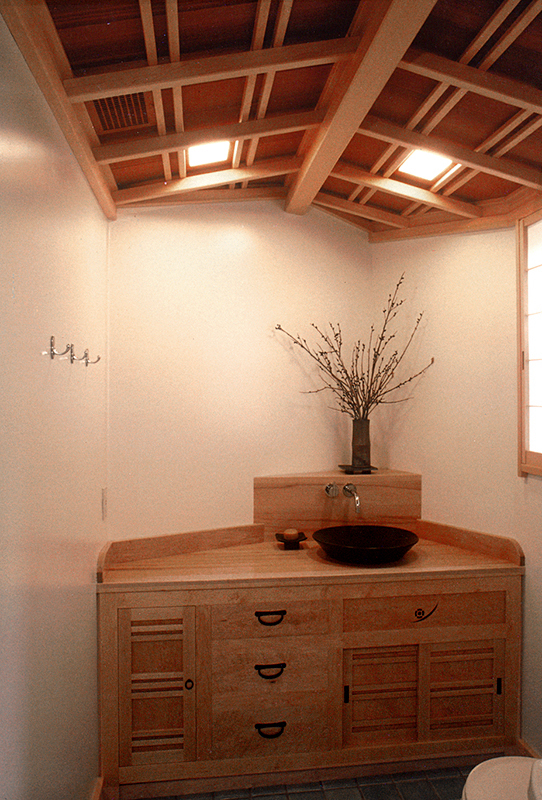 The maple sink cabinet is Japanese tansu-style with hand-forged iron drawer handles.